"Chandra Oppenheim was a child star like no other. As the daughter of famed conceptual artist Dennis Oppenheim. By age nine, Chandra was staying up late at her parents' art-world parties, collaborating in her father's projects, and performing her own plays at downtown hotspots such as The Kitchen and Franklin Furnace. This set the stage for Chandra's course-altering collaboration with members of The Dance, who were looking to form yet another project and found their muse/fuse in ten-year-old Chandra. Transportation EP, originally released in 1980 by The Dance's own label, ON/GoGo. Balancing on razor-wire guitars, liquid bass lines, and dub-style melodica, the Chandra band unveiled their first four songs: 'Opposite', 'Concentration', 'Subways', and 'Kate.' While Chandra's music can be compared to her no wave contemporaries Y Pants, France's Lizzy Mercier Descloux, Su Tissue of Suburban Lawns, or 'Delta 5 meets the Jackson 5', to quote critic David Ma, her lyrical fixations are truly singular. With hypnotic, chanted vocals focusing on chilling themes of mind control, multiple personalities and missing the train. At age 12, the post-punk pre-teen took the stage with her band for the first time at New York's legendary Mudd Club. A whirlwind of press coverage ensued from glossy magazines like Vogue and Paris Match to the influential underground zine Non LP B Side and a Soho News cover story. The infectious, propulsive 'Get It Out Of Your System' opens Chandra's second EP with one of her most commanding performances. 'Stranger' slows the pace with stop-start rhythms, woozy synths, and the harmonized return of the melodica, while its lyrics find her being followed by a mysterious character revealed to be a woman. 'Tish Le Dire' sounds like The B-52s in an eerie alternate universe with instructions on speaking up to your parents or authorities to the point of threatening suicide. Chandra stepped away from the band at age 14 to focus on her education. Sadly, the second EP was shelved and would not see the light of day for decades. 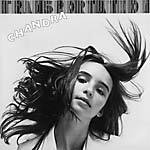 Chandra's trip continues with this new deluxe reissue from Telephone Explosion Records. Returning her debut EP to its original four song, single-record release at a dancefloor-ready remastered 45 RPM, the expanded edition also adds to the second EP with a pair of never-released songs from her 1983 four-track cassette demos. 'Day Without Success' and 'They're All Alike' find Chandra's dream-like vocals driven by minimal wave synth zaps and pulsating drum machines."